When one thinks of Belgian club soccer, most immediately think of Anderlecht, Club Brugge and Standard Liege. However, for a few years in the late 1980s and early 1990s, small club KV Mechelen (Malines, for French Speakers), held its own not only domestically but also with the continent’s best. This heavily Dutch reinforced club showed that with many efficient signings, it could win trophies at home and abroad. The team achieved promotion to the Belgian First Division in 1981, at which point the club was taken over by the Telindus Company of John Cordier. The team’s initial stay in the First Division was very short as it finished last for the 1981/82 season. John Cordier was elected to the Club Presidency in 1982 and in the coming years instituted changes to build a competitive team. The team was promoted again in 1983 and stayed there to write the best pages of its history. Success did not come overnight and Mechelen struggled for a few seasons. In these first few seasons back, the Dutch Manager Leo Canjels could not muster more than First Division survival as a result he departed midway through the 1984/85 season. From 1985 onwards Ernest Kunnecke managed the team and he could already count upon future mainstays of the team such as Dutch striker Piet Den Boer, West German midfielder Joachim Benfled, Albert Cluytens, Raymond Jaspers, Geert Deferm, Wilfried Dommicent and Koenrad Sanders. Though that was still insufficient for European qualification. The first significant player purchases occurred in the summer of 1985 as Ronny Martens (Gent), Gaston Boeckstaens (Antwerp), former International Walter Meeuws (Ajax) and most importantly the Dutch duo of defender Graeme Rutjes (Excelsior Rotterdam) and midfielder Erwin Koeman (Groningen) joined the club. Despite these acquisitions the team struggled for the 1985/86 season with an ultimate eleventh place finish, as a result midway through the season Cordier appointed the young Authoritarian Dutch Manager Aad De Mos. The former Ajax Manager De Mos had won League titles with Ajax and had overseen the developments of Marco van Basten and Frank Rijkaard among others. It was the following season (1986/87) that Mechelen really established itself as a player in the Belgian Football scene. More significant player purchases signaled their ambition. Three key defensive signings were made. 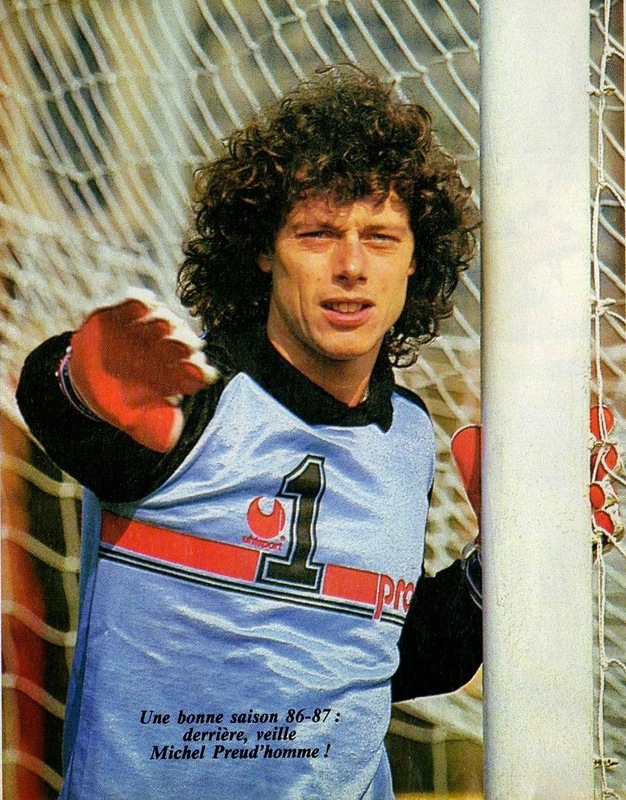 Goalkeeper Michel Preud’homme joined after a nearly a decade at Standard Liege. National team defender Leo Clijsters arrived from Waterschei. Dutch defender Wim Hofkens arrived from Beerschot following a long spell at giants Anderlecht. Defender Paul Theunis arrived from Beveren and midfielders Alain De Nil and Paul De Mesmaeker arrived from Molenbeek. With a stronger lineup, Mechelen challenged the giants of Anderlecht for the League title and pushed them all the way to the end. In the end Anderlecht won just by two points. Mechelen’s solid defense conceded only 18 goals the entire season. 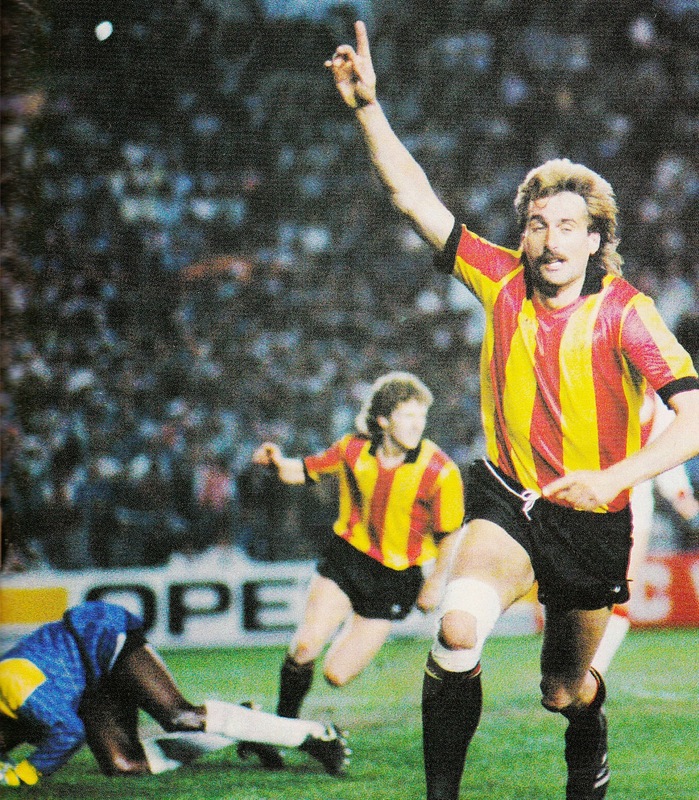 To cap a strong season, Mechelen triumphed in the Belgian Cup by defeating FC Liege on June 14, 1987 (1-0) from a goal by Piet Den Boer. This opened the doors to the Cup Winners Cup and a first foray in European Competition. In addition to instituting full professionalism at the club, John Cordier was being praised for a number of innovative ideas. For instance, installing Luxury boxes at their home stadium for companies to invite their clients. Another novel concept was founding of a Company (Cova Invest) to buy the players and loan them back to the team. With a backbone of a team in place, Mechelen made another number of purchases. Walter Meeuws retired and Ronny Martens left to join Gent. Israeli striker Eli Ohana joined from Beitar Jerusalem, along with future Belgian International midfielder Marc Emmers from Waterschei and Pascal De Wilde from Harelbeke. 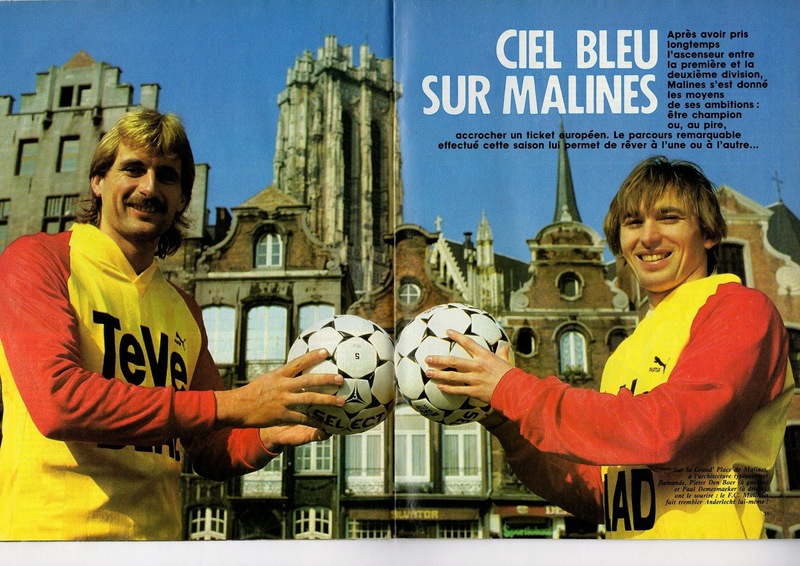 By now Dutch Football was going through a renaissance and that influence was very visible at Mechelen. Apart from the Manager, Graeme Rutjes, Wim Hofkens, Erwin Koeman and Piet Den Boer contributed to the positive image of Dutch Football that was about to take Europe at International level. It was also during this season (1987/88) that Michel Preud’homme was elevated as Belgium’s number one goalkeeper, a position that he would hold on to until 1994. Mechelen once again fought for the League Title, but once again had to contend for a runner-up finish behind the other local giant Club Brugge. However, Mechelen wrote its name in the history books by their Cup Winners Cup run. Romania’s Dinamo Bucharest (1-0, 2-0 away) and Scotland’s St Mirren (0-0, 2-0 away) were eliminated in the first two rounds with Mechelen’s defense unbreached. In the quarterfinals, USSR’s Dinamo Minsk was eliminated after two closely fought contests (1-0, 1-1 away). In the semifinals, Mechelen faced the surprising second Division Italian side of Atalanta and defeated them home and away by the score of 2-1. For the Final, they faced the defending Champions Ajax at Strasbourg’s La Meinau Stadium on May 11, 1988. In a memorable year for Holland, PSV Eindhoven won the Champions Cup, the Cup Winners Cup opponents were Ajax and a Mechelen side with a strong Dutch contingent and with many of these same players the national team triumphed in the UEFA European Championships in West Germany. 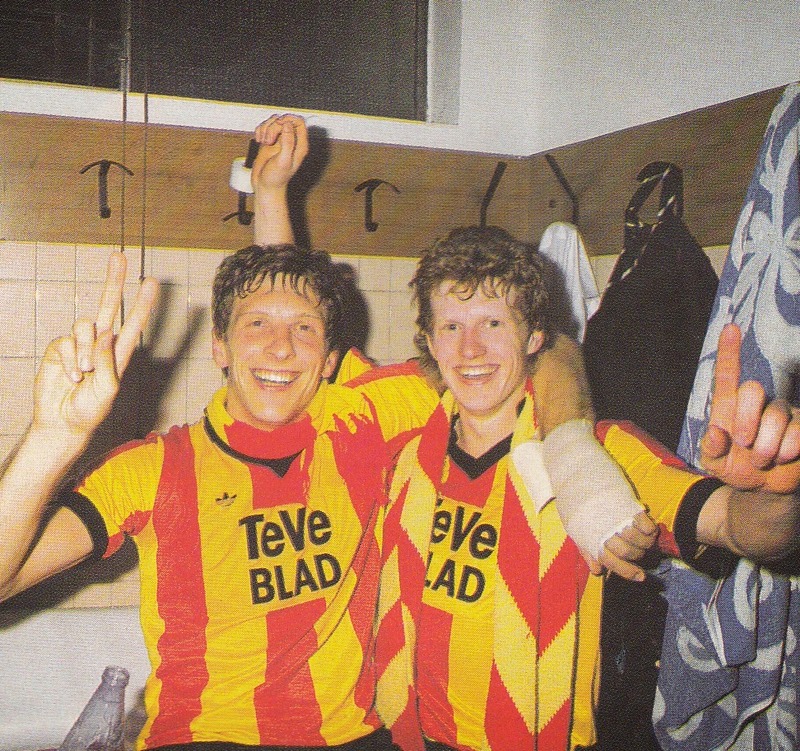 For the Cup Winners Cup Final, Mechelen triumphed from a goal by Den Boer. In just a number of years Cordier had transformed an average team into European silverware winners. Following this victory, he summed up the team’s philosophy: ambitious players such as Ohana who want to go places and avoid unambitious and injury prone players. With European glory achieved, all the elements were in place to finally land a League title. Young striker and future National team Manager Marc Wilmots arrived from St Truiden, along with another Dutch International, Ajax’s Johnny Bosman. Future International midfielder Bruno Versavel arrived from Lokeren, along with Frank Leen from Lommel. 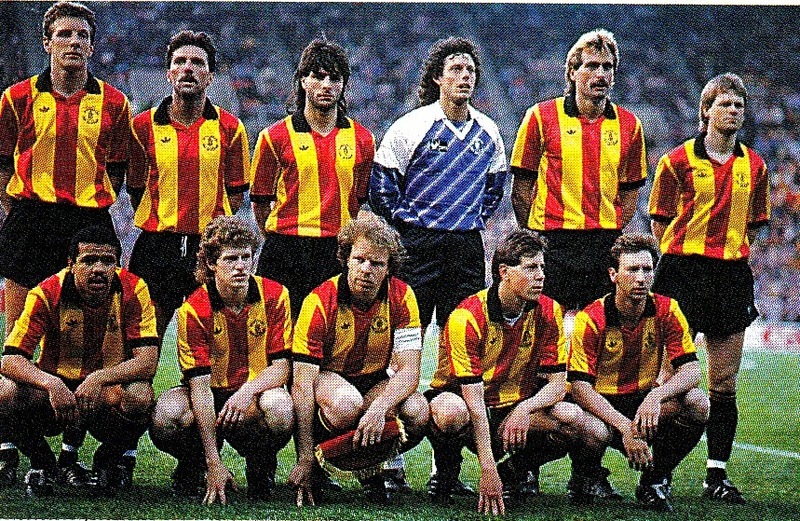 Despite resistance from Anderlecht, Mechelen deservedly won the League title for the 1988/89 season and the fourth in its history since winning three titles in the 1940s. Along the way, they also won the UEFA Super Cup by defeating PSV Eindhoven in February 1989 (3-0, 0-1 away). They defended their European crown all the way up to the semifinals, After eliminating Avenir Beggen in the First Round, they eliminated their local League rivals Anderlecht in the second Round (1-0 and 2-0 away). They eliminated West Germany’s Eintracht Frankfurt in the quarterfinals to face Gianluca Vialli’s equally ambitious Sampdoria side in the semifinals. Despite winning 2-1 at home, they were swept aside 0-3 at Genoa. Following this triumphant season, Aad De Mos surprisingly announced that he was leaving and joining rivals Anderlecht. 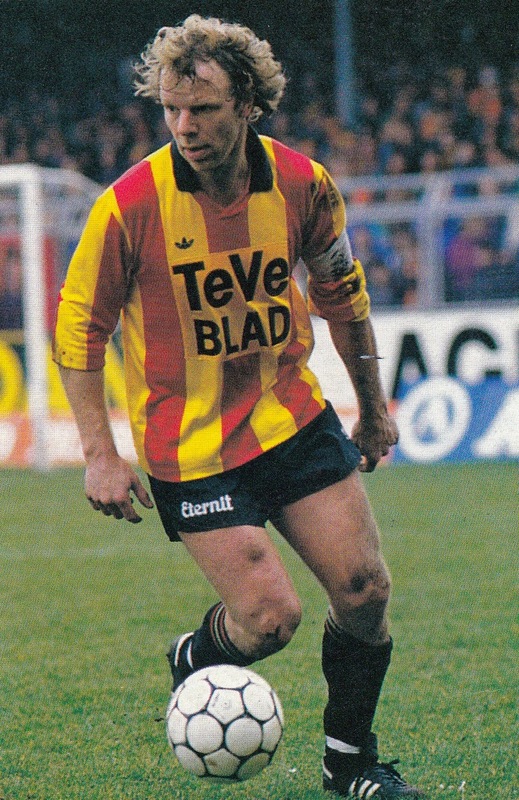 This took many by surprise and Koenrad Sanders whose excellent season had earned him a cap in 1989, expressed his disappointment and the importance of De Mos by saying that he had been successful in turning modest players like himself into much improved players and now he was taking all that and his knowledge of Mechelen’s inner workings to their greatest rival. As his replacement, Cordier appointed former Dutch great Ruud Krol, who had no previous coaching experience. Also leaving was veteran Dutch striker Piet Den Boer who joined Bordeaux. International defender Phillipe Albert came on board to strengthen the defense, while striker Francis Severyns arrived after a disappointing season at Pisa in the Serie A. Bruno Versavel’s brother Patrick also joined him at Mechelen from Lokeren. Mechelen started the Season in an unconvincing fashion and soon Krol’s inexperience was blamed for the stuttering start. He was replaced by Assistant Fi Van Hoof who somewhat steadied the ship. They had to contend with a third place finish in the League (1989/90 season) behind Champions Club Brugge and Anderlecht. In the Champions Cup, they successfully defeated Noway’s Rosenborg and Sweden’s Malmo in the first two rounds. In the Quarterfinals, they faced the defending Champions and eventual repeat winners the mighty AC Milan. After a scoreless tie at home in the first leg, they more than held there own in the return leg at San Siro but finally succumbed with two goals in overtime. This was perhaps as high as Mechelen was able to attain continentally and slowly in the coming seasons the team was broken apart and weakened due to financial reasons. That summer Graeme Rutjes joined Anderlecht, which would become the favorite future destination of many of Mechelen’s stars. Eli Ohana left and joined Portugal’s Braga, while Dutch Internationals Erwin Koeman and Johnny Bosman joined PSV Eindhoven. The new recruits including players such as Sweden’s Klas Ingesson (IFK Gothenburg), Dutch International Rene Eykelkamp (Groningen), Australian striker Zlatko Arambasic and Romanian Lucian Ilie were not the top quality recruits that the club had been used to in the preceding years. They nevertheless finished runner-up behind Anderlecht in the League (1990/91 season), but were defeated in the Cup Final to Club Brugge. In the UEFA Cup they were eliminated in the first round by Sporting Lisbon. Following this season, Wim Hofkens and Pascal De Wilde also departed. Georges Leekens came on board as Manager, but the team was continuing to weaken. Its most significant purchase for the (1991/92 season) was Swedish striker Kennet Andersson. Its financial difficulties were further illustrated when during the season they were forced to sell Marc Emmers and Bruno Versavel to Anderlecht. The team’s slow decline left them with a fourth place finish and narrow UEFA Cup qualification. The team once again reached the Cup Final but was defeated by Antwerp after a penalty kick shoot-out. In UEFA Cup, they were once again eliminated in the First Round to Greece’s PAOK. Veteran Leo Clijsters left at the end of that season to play for FC Liege for one final season. Phillipe Albert also joined the growing former Mechelen players’ colony at Anderlecht. 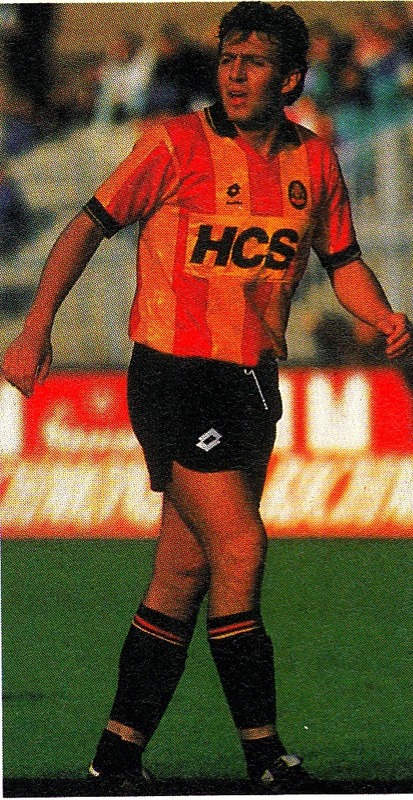 By 1992, John Cordier announced that he would leave the club by the end of the season due to financial difficulties. He had personally bought many of the players and to save his company he was forced to sell off players. 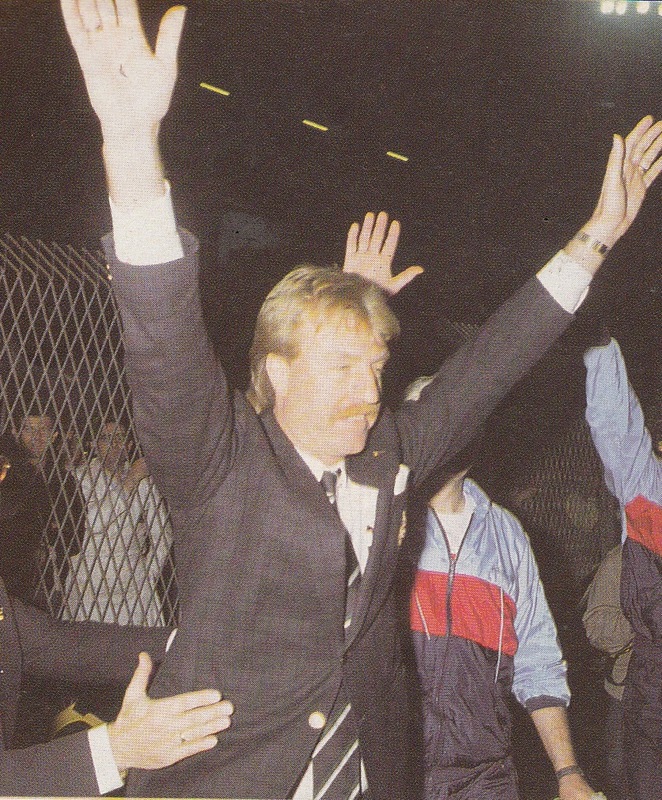 With Fi Van Hoof back at the helm, Mechelen finished the season (1992/93) at Third place and qualified for UEFA Cup. In the UEFA Cup, they were able to survive two rounds, after eliminating Orebro they were stopped by Holland’s Vitesse Arnhem. This was the last season where Mechelen was significant in the League, as in the following campaigns they ended in mid table positions at best. The following season (1993/94) was also their last European adventure, as the club reached the Third Round after defeating Norkopping and MTK Budapest. However, The Italians of Cagliari ended Mechelen’s European adventure that stretched back to 1987. Michel Preud’Homme finally left the club in the summer of 1994 as the last remnant of the glorious era. The club was relegated in 1996/97 and with the financial situation unresolved, the club was liquidated on December 7, 2002. Since then the club has been saved and even earned promotion to the First Division in 2008. John Cordier passed away on January 22, 2002, aged just 57. He oversaw the creation a great team from modest means, but as is the tale of small teams, the winning momentum is temporary and is always at the mercy of bigger and wealthier clubs.